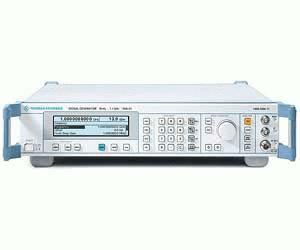 The Signal Generator family R&S SML offers all features required of a state-of-the-art general-purpose signal generator: wide frequency range, large variety of modulation functions and high reliability ? at an extremely attractive price. The fields of application of the R&S SML are virtually unlimited in development, servicing or production where it is used as a flexible signal source in automatic test systems. R&S SML benefits both from our long-standing experience in the field of signal generators and the latest technology. Its uses are as versatile as its functionalities. Premium certified used at BRL Test.